(Enlarge to see Sand Ladders) . 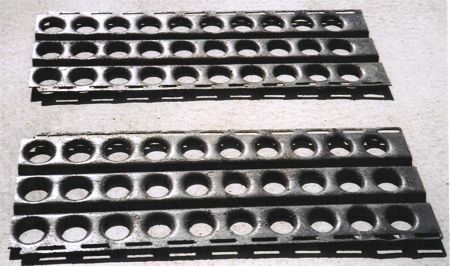 Expedition Sand Ladders are ex-military PSP (pierced steel plating). The Real Thing - no imitations! Sand Ladders, as the name suggests, are ideal for freeing a 4x4 stuck in sand, as well as any type of soft ground. 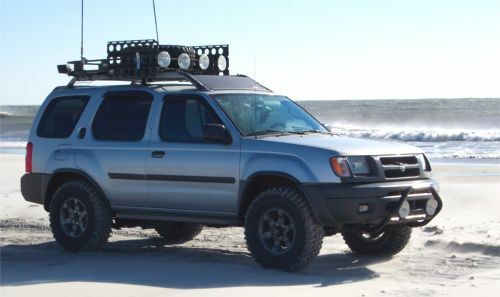 Stow them out of way, until needed on your pack rack, or in your 4x4's cargo area. Expedition HD Steel Sand Ladders are sold in pairs, and are shipped 'ground' anywhere in the continental United States. Each ladder is 60" x 16", and weighs about 25 lbs. Our steel sand ladders are sprayed with heavy-duty bedliner (color-black), to give them a hi-traction surface, and a rugged appearance. For international inquiries, please e-mail us. As in any recovery situation, care must be taken when using equipment. 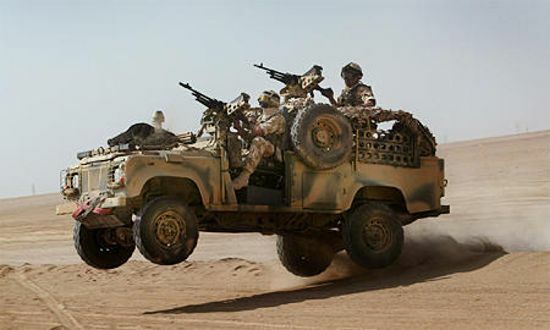 Never stand beside or behind a vehicle driving on sand ladders. 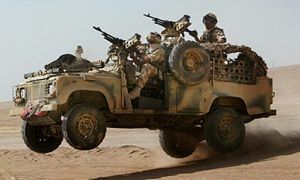 The rotation of the wheels may force the sand ladders to be thrown out behind the vehicle. Please ensure sand ladders are securely stowed when not in use. Benjamin here from Charlotte, NC. A recent trip I took from Charlotte, NC to the Outer Banx, NC to Long Island , NY. I only had to use the sand ladders once and I was very glad I had them since this time of year most beaches are deserted. Waiting for help in recovery would not be a good option. I ended up cutting them in half for weight reduction and ease of storage. Also I tested them out with some friends and cut in half and then doubled up they support the weight of the truck and make great emergency bridging ladders in a pinch. Thank you for a great product and your help on the phone. The Camel Trophy: Sand Ladders became famous in the Camel Trophy offroading event which ran from 1980 until 2000. The 1980 Camel Trophy event featured Jeeps, and thereafter Land Rover sponsored the event, over the years showcasing various Land Rover models, the most well-known being the Camel Trophy Discovery.